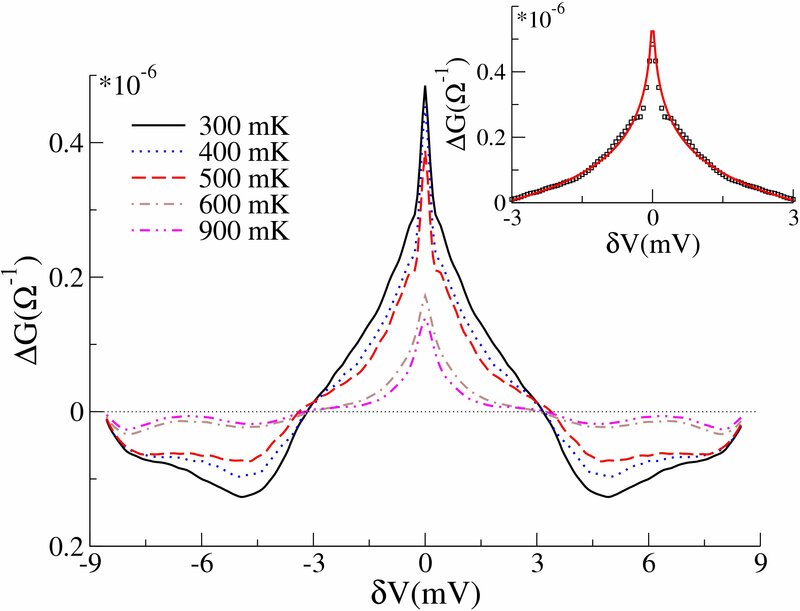 Spin properties of few correlated electrons in quantum dots, in the presence of electric and magnetic fields orthogonal to the dot plane, has been studied by means of exact diagonalization technique. Increasing the magnetic field moves the dot to a fully spin polarized ground state whose first excited state has been studied, recalling the skyrmion of a ferromagnetic quantum Hall bar at integer filling. The crossover to this state becomes sharper and sharper with increasing the number of electrons(picture). This state can be probed by far infrared radiation, and an optical sum rule which, in the presence of Rashba spin orbit coupling, replaces the Kohn theorem has been proved. The dot acts as a magnetic impurity and its spin is screened by the conduction electrons. We have proposed to detect two-channel spin-1/2 orbital Kondo effect in a quantum dot at Coulomb Blockade, with an odd number of electrons. In "open" quantum dots the presence of localized states allows for interplay of Kondo resonant transmission and Fano resonances. This changes the shape of the Kondo resonance (picture). Phase coherent conductance in ballistic rings can be tuned by external magnetic and electric field. The combined effect of Ahronov Bohm, phase, Zeeman spin splitting and Rashba spin orbit interaction, has been studied within a real time path integral approach which includes weak localization corrections. The transmission can change the spin polarization. 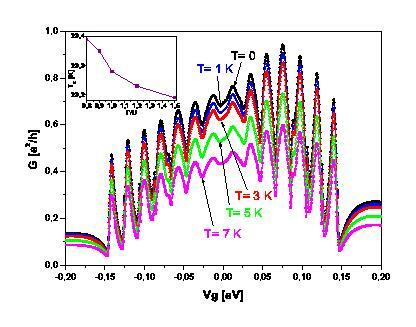 YBCO grain boundary Josephson junctions form diffusive nanoconstrictions and the quasipartice resistance has been studied at high voltages. We have seen evidence of quantum interference at low temperatures in the magnetoconductance, and mesoscopic conductance fluctuations. 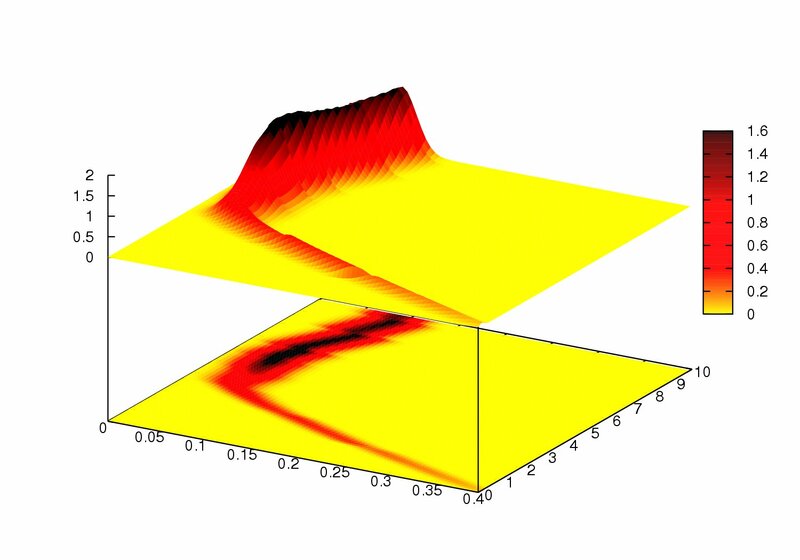 The autocorrelation (picture)of the conductance is fitted with a modified diffusion approach.